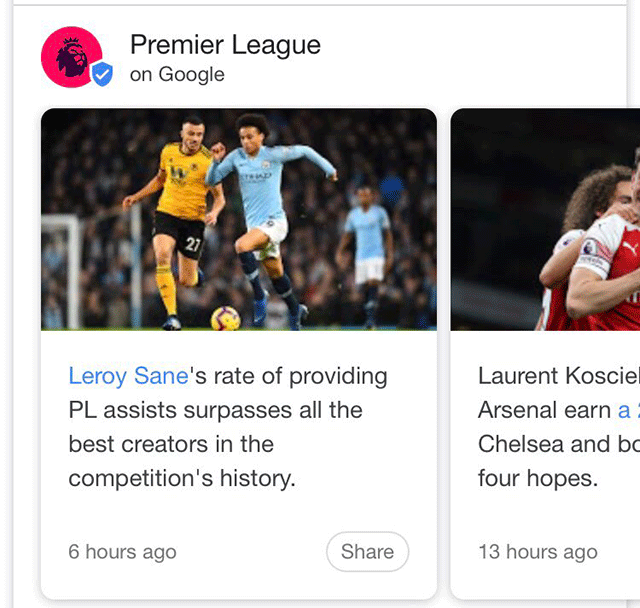 Google appears to be allowing some with access to use Google Posts to add hyperlinks, either URLs or anchor text links. Brodie Clark spotted this and posted an example on Twitter. I was able to replicate it as well for the query [premier league]. Brodie said this is specifically for "verified authors" in Google Posts.